Over the past few months I've been busy decorating pretty much every single room in the house (as well as working on the garden) but one room that has been sorely neglected ever since we moved in, is my room. 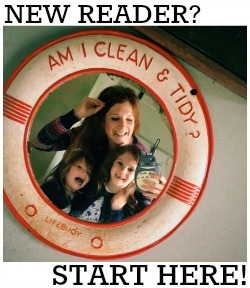 There always seems to be other, more important DIY to do, or things to buy for the girls - so for this post I decided to be a bit selfish and to let myself daydream about my perfect bedroom! I love my sleep - not that I get very much of it. It is literally my DREAM to have a beautiful, calming, clutter free space to sleep in every night. Right now I have very old and rustic, dark wooden furniture and my room seems to be the dumping ground for everyone else's stuff. It's the only room in the house never to have been decorated, so needs a pretty substantial amount of DIY doing to it before I can even begin to think about filling it with pretty things. But on the assumption that magic elves will come and fit all the woodwork, build me a new wardrobe in the eaves, sand the floorboards and paint everything white, here are six finishing touches I'd absolutely love to treat myself to! I absolutely love my Victorian style black and brass bed frame - and in actual fact I got it from Wayfair a couple of years ago! However something I couldn't afford at the time was a decent mattress and I'd love to get a memory foam one. eve is a brand that has been recommended to me by lots of people and I'd choose this double mattress from the Wayfair website if I could. As I said above, my bedroom furniture is made of really dark wood and has a real a rustic vibe to it - I chose it almost twelve years ago and it couldn't be further away from my taste now. I'd love a new chest of drawers and a new pair of bedside tables, like these Mercury Row Aedesia ones. I really love the clean lines, contrasting wooden legs and Scandinavian design. I've always wanted a huge, freestanding mirror to prop up against the old chimney breast wall - and this Gallery Harrow full length mirror is an absolute beaut. I love the size of it and that intricately carved frame is just beautiful. The only question is, do I go for silver or cream?! At the moment I have a fairly shabby old carpet that desperately needs replacing. Ideally I'd love white washed floorboards - with this Safavieh Coco grey/ivory rug next to my bed so my feet don't have to hit the cold floor when I get up in the mornings. How super cosy and plush does it look?! Everyone knows its the law that whenever you buy a new bed or mattress you HAVE to buy brand new bedding! I'd go for a new duck down duvet and pillows with this Antina duvet set - I love the teal and mustard combo, and the chevron pattern. I've always been quite traditional (boring, perhaps!) when it comes to lighting, opting for simple shades for both ceiling pendants and table lamps. This time I'd go for something bolder, like this geometric pendant light in copper and a pair of these Borough Wharf Clarno table lamps for the bedside tables! What do you think of my choices? 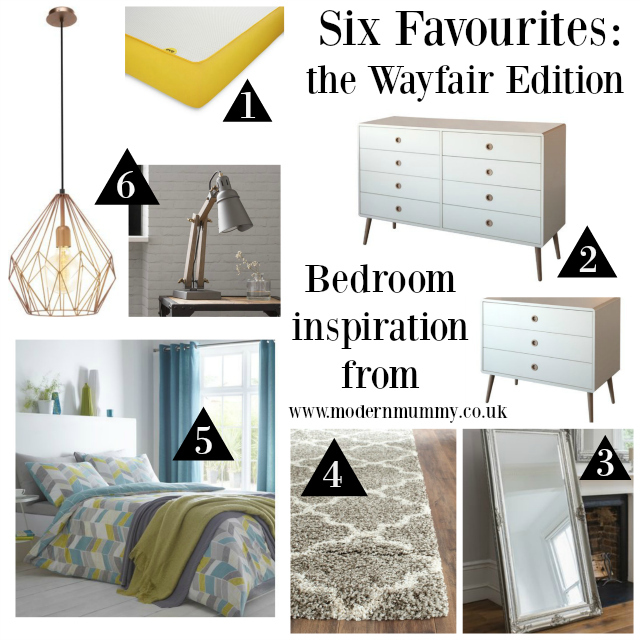 Make sure you take a look at the Wayfair website for plenty more interiors inspiration! I absolutely love those drawers, they are beautiful!